California and Texas differ in many respects, including how they treat non-compete agreements. 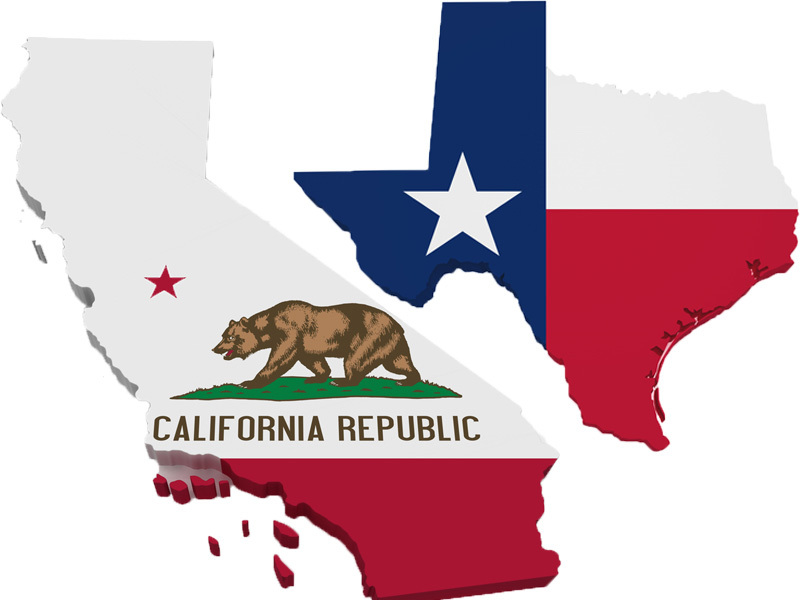 While Texas enforces non-compete restraints that are reasonable, California has declared such agreements unenforceable. Recently, a company headquartered in Texas attempted to enforce its non-compete agreements against two California employees. The agreements specifically stated that they “shall be governed and construed in accordance with the substantive laws of the State of Texas,” that the company is based in Irving, Texas, and that the agreements are to be partially performed in in Irving, Texas. Despite this language, the trial court and then the Dallas Court of Appeals applied California law and ruled the agreements unenforceable in Merritt, Hawkins & Associates, LLC v. Caporicci, et al. The Court of Appeals explained that in a situation like this, where two states have a relationship with the parties and the transaction, i.e., employment, it will apply the law of the state that has “clearly more significant” relationship to the parties and the transaction. The court then concluded that the relationship to California was more significant than to Texas because: (1) both men interviewed for the jobs in California; (2) completed their employment agreements and the jobs in California; (3) the employees lived in California and traveled to Texas infrequently; and (4) the gist of their employment agreements was performance of services in California. Finally, the Court of Appeals concluded that the enforcement of the non-compete agreements would be contrary to a “fundamental policy of California,” which was the final nail in the coffin of the company’s argument that the agreements should be enforced under Texas law. Takeway: Although a company may state in its employment agreement that the law of a certain state will apply, Texas courts may choose to apply the law of another state if that state has a more significant relationship with the parties or the employment agreements. The legal analysis depends on a multitude of factors and will vary depending on where the company is located, where its employees are located, what their job functions are, as well as the public policy of the other states in question. Texas companies that have employees in other states should keep that in mind when hiring or recruiting executives in other states. Leiza litigates non-compete and trade secrets lawsuits on behalf of COMPANIES and EMPLOYEES in a variety of industries, and has advised hundreds of clients regarding non-compete and trade secret issues. If you need assistance with a non-compete or a trade secret misappropriation situation, contact Leiza for a confidential consultation at LDolghih@GodwinLaw.com or (214) 939-4458. Non-Compete Agreements – Good or Evil? The US Government Says They Are Both. In March 2016, the Office of Economic Policy of the U.S. Department of the Treasury issued a report titled “Non-Compete Contracts: Economic Effects and Policy Implications.” According to the report, an estimated 18% of all workers, or nearly 30 million people, are covered by non-compete agreements. The purpose of the report was to determine the economic effects of non-competes. (1) Non-competes are sometimes used to protect trade secrets, which can promote innovation. (2) By reducing the probability of worker exit, non-competes may increase employers’ incentives to provide costly training. (3) Employers with especially high turnover costs could use non-competes to match with workers who have a low desire to switch jobs in the future. (1) Many workers do not realize when they accept a job that they have signed a non-compete, or they do not understand its implications. (2) Many workers are asked to sign a non-compete only after accepting a job offer. One lower-bound estimate is that 37 percent of workers are in this position. (3) Many firms ask workers to sign non-competes that are entirely or partly unenforceable in certain jurisdictions, suggesting that firms may be relying on a lack of worker knowledge. 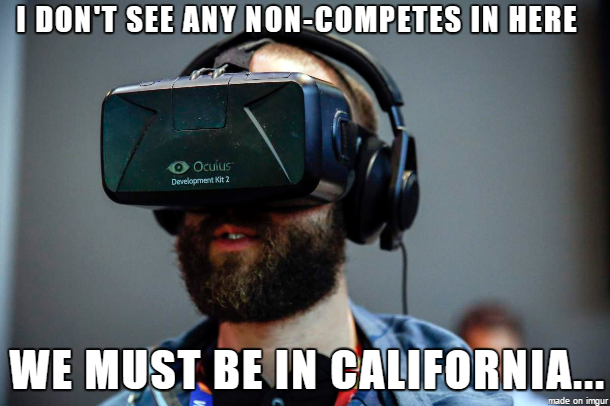 For instance, California workers are bound by non-competes at a rate slightly higher than the national average (19 percent), despite the fact that, with limited exceptions, non-competes are not enforced in that state. Only 24 percent of workers report that they possess trade secrets. Moreover, less than half of workers who have non-competes also report possessing trade secrets, suggesting that trade secrets cannot explain the majority of non-compete activity. Non-competes are common among workers who report lower rates of trade secret possession: 15 percent of workers without a four-year college degree are subject to non-competes, and 14 percent of workers earning less than $40,000 have non-competes. This is true even though workers without four-year degrees are half as likely to possess trade secrets as those with four-year degrees, and workers earning less than $40,000 possess trade secrets at less than half the rate of their higher-earning counterparts. Available evidence suggests that workers with a low initial desire to switch jobs are not more likely to match with employers who require non-competes. In some cases, non-competes prevent workers from finding new employment even after being fired without cause; in such cases, it is difficult to believe that non-competes yield social benefits. States vary greatly in the manner and degree to which they will enforce non-competes. In some states, non-compete enforcement is determined by statute, while in others it is determined exclusively by case law. Some states refuse to enforce non-competes, or refuse to enforce non-competes that contain any unenforceable provisions (“red-pencil” doctrine), although a majority of states will modify overbroad non-compete contracts to render them enforceable (“bluepencil” and “equitable reform” doctrines). In Texas, non-compete agreements are governed by a statute and must meet certain requirements to be enforceable. When drafted properly, they are enforceable. However, a lot of times, they are not drafted correctly, which means that they would not hold up in court. You can see my previous posts regarding Texas non-competes here, here and here. Employers should increase transparency in the offering of non-competes; use enforceable non-compete contracts; and provide “consideration” to workers bound by non-compete contracts in exchange for both signing and abiding by non-competes. Takeway: According to the U.S. Department of Treasury’s report, non-competes and how they are being used by employers across the country present some problems for employees and the labor market in general. Considering that every 5th person is under a non-compete restrictions, these problems are wide-spread. Employers and employees in Texas will both benefit from reasonable and enforceable non-compete agreements. Leiza litigates non-compete and trade secrets lawsuits on behalf of COMPANIES and EMPLOYEES in a variety of industries, and has advised hundreds of clients regarding non-compete and trade secret issue. If you need assistance with a non-compete or a trade secret misappropriation situation, contact Leiza for a confidential consultation at Leiza.Dolghih@lewisbrisbois.com or (214) 722-7108. While we patiently wait for a sequel to Dodgeball: A True Underdog Story to come out, a similar saga involving competing gym/spa establishments has been unfolding in Houston, Texas (minus the dodge ball tournament and shiny singlets) recently culminating in a lawsuit in the federal district court for the Southern District of Texas. In this lawsuit, Life Time Fitness sued its former regional vice president, his wife, who also worked for Life Time Fitness at various times, and their newly formed company – ReNew You LLC – alleging that the VP “pilfered” proprietary business information, duplicated Life Time’s business model, and used company personnel to open a competing business. Life Time filed the complaint on January 16th and four days later obtained a temporary injunction order against the defendants ordering ReNew You to cease and desist all operations and barring it from offering or providing services provided by Life Time. In sum, Life Time has succeeded in shutting down ReNew You for now. (6) negotiate a partnership agreement with his partner in ReNew You. Life Time also alleged that the VP “egregiously and surreptitiously” breached the non-compete agreement by using Life Time’s time, resources, computers, proprietary information and employees to build the medi-spa and weight-loss business less than four miles away from one of Life Time’s facilities. While the complaint doesn’t specify how Life Time eventually found out about the VP’s activities, it is clear that the VP was using Life Time’s email address to send much of communications related to establishing ReNew You. Apparently, the VP was also using his Life Time computer to create and edit many of the ReNew You documents. It is alleged that he also used his Life Time email address to email himself Life Time’s confidential information. The complaint contains nine (typical) counts: violation of the Computer Fraud and Abuse Act (CFAA), breach of contract, breach of fiduciary duties, misappropriation of trade secrets, violation of the Texas Uniform Trade Secrets Act (TUTSA), tortious interference with prospective contracts, tortious interference with existing contracts, conspiracy, and aiding and abetting breach of fiduciary duties. The VP’s attorneys and the VP himself have denied any improper actions. TAKEAWAYS: The allegations in this case (which remain to be proven) illustrate a typical former employee/employer dispute, which often arises when an employee decides to open a business that competes with his or her former employer. The allegations raise an issue of when is the line between preparation to compete (generally allowed under Texas law) is crossed into competition with the employer while on employer’s payroll (not permitted). 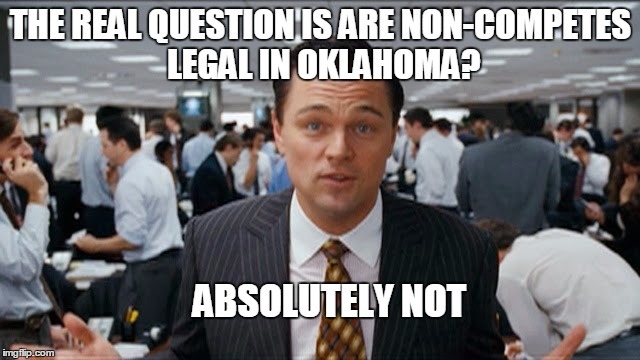 In some situations, the answer to that question is clear, while in others, it requires a rigorous legal and factual analysis. The line between fair competition and unfair competition is often in the eye of the beholder, frequently pushing the parties towards litigation as a forum for resolving what is fair. While some disputes may not be resolved outside the courtroom, many may be avoided if employees planning to compete with their former employer follow two simple steps: (1) review their employment agreements to determine what obstacles, if any, they present to opening a competing business; and (2) avoid actually competing with the employer or using employer’s resources to plan the new business while on employer’s payroll. Whether you are hiring a new employee or entering in a contract with your vendor or supplier, if you are planning on giving these persons access to your business’ confidential information, such as customer lists, financial information, proprietary training materials, etc., you should make sure that the person you are sharing it with is not going to take that information and use it to compete against your business. There are several tools available to business owners to make sure that this does not happen. Non-compete clause. This clause prevents current employees or business partners from joining or forming a competing business after the end of their employment or business relationship with your company. It is enforceable in Texas when certain conditions are met. Non-solicitation of clients clause. This clause prevents current employees or business partners from taking the company’s clients with them after their employment or business relationship with that company ends. Non-solicitation of employees a.k.a anti-raiding clause. This clause prevents current employees or business partners from poaching their former employer’s or business partner’s employees after the end of their employment or business relationship. Non-disclosure clause. This clause prohibits employees or business partners from using or disclosing confidential information that a company shared with them during their employment or business relationship. 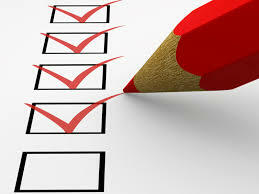 To be enforceable, each clause has to be drafted specifically for your business. There are some contract clauses that stay the same no matter what the substance of the contract or the business is – these are not those clauses. A lot of business owners will adopt a friend’s or a former employer’s non-compete and non-solicitation agreements for their own use, or copy an agreement they found online. However, those agreements usually work only until a company attempts to enforce them, leaving a business owner exposed to unfair competition at the precise moment when it needs the protection the most. These copycat restrictive covenants often fail because a company that attempts to enforce them in court must show why a particular geographic area or a specified time period is reasonable for a particular employee, and explain exactly what is included in the definition of “confidential information” included in the non-disclosure clause. This is virtually impossible to do if the agreement that the company is seeking to enforce was catered to a different company’s business, with different types of confidential information, and different employee structure. 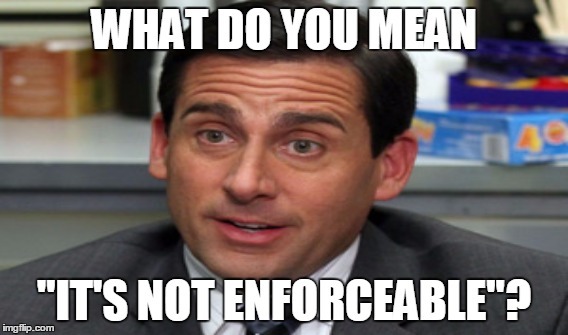 Is Your Non-Compete Enforceable in Texas? Many a business owner has been tempted to save a few hundred dollars by using a non-compete agreement found somewhere on the web or bought from Legalzoom or the like. The problem with such an approach is, of course, that every state has different rules about what makes a non-compete agreement enforceable. What might be enforceable in one state, might be a worthless piece of paper in another. This is why obtaining a form non-compete agreement, without verifying its enforceability in Texas, is dangerous. It is also dangerous not to update employees’ non-compete agreements, as the law on this issue is always evolving. I do not know if either of those factors were present in Hunn v. Dan Wilson Homes, but the non-compete in that case was clearly missing the language necessary to make it enforceable in Texas. It could have been because the owner copied an agreement from another state, or did not update the agreement, or because the necessary language was omitted from the agreement by mistake. In the end, it did not matter, as the court refused to enforce the non-compete against an employee who, after leaving his employer, continued to work directly for his employer’s client. In Texas, for a non-compete to be enforceable it must “be ancillary to or part of an otherwise enforceable agreement at the time the agreement is made.” The Fifth Circuit in Hunn v. Dan Wilson Homes recently re-affirmed that in Texas, a non-compete agreement must be accompanied by either a promise from employer to provide an employee with confidential information or an employee’s promise to keep confidential information provided by the employer confidential. Without such promises, a non-compete agreement that is based simply on an employer’s promise of continued employment in an at-will contract is unenforceable. In other states, simply promising to provide an employee with employment is enough to make a non-compete agreement valid. However, Texas courts require more. Takeway for Employers: Determination of the sufficiency of consideration for a non-compete executed by an at-will employee often turns on which state’s law applies. If the relevant facts and circumstances permit, an employer should include a choice-of-law provision designating the law of a state where at-will employment is adequate consideration. However, where an agreement is governed by Texas law, a simple promise to continue to employ an at-will employee is not enough to support a binding non-compete. Takeway for Employees: Not every non-compete agreement is enforceable in Texas. If your employment agreement contains a non-compete clause, you should consult with an attorney before signing your agreement to determine what consequences you will be facing if your employer decides to enforce it against you in the future. Likewise, if you have already signed one but are trying to figure out what your options are once you leave your employment, consult with an employment attorney to determine whether it enforceable and what course of action to take. You can read the entire case here. Leiza litigates non-compete and trade secrets lawsuits on behalf of EMPLOYERS and EMPLOYEES in a variety of industries, and knows how such disputes typically play out for both parties. 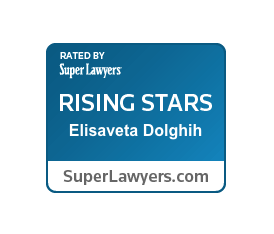 If you need advice regarding your non-compete agreement, contact Ms. Dolghih for a confidential consultation at Leiza.Dolghih@lewisbrisbois.com or (214) 722-7108. According to a recent study,* at least one in four workers have signed a non-compete during their work-life, and at least 12% of the U.S. labor force are currently working under one. However, only 10% of the study participants reported bargaining over the terms of their non-compete agreements before signing them. According to this study, the chances of being bound a non-compete increase with the higher level of education – 9% without college degree v. 27% of those with a graduate degree are bound by a non-compete. They also rise with the increase in salary, with one in three workers making over $100K a year having agreed to a non-compete. So, if you are an MBA/Ph.D. graduate who makes over $100K, your employment paperwork will most likely have some version of a non-compete clause. Not surprisingly, the study also determined that non-compete agreements are more likely to be signed in states with higher non-compete enforcement policies. Texas is one of such states. Furthermore, according to the study, the biggest predictor of whether an employee will be asked to sign a non-compete is whether he or she will be working with trade secrets. About 10-20% of those who work with clients or have access to client-specific information sign non-competes, and about 24-30% of those who have access to trade secrets sign non-compete agreements, regardless of income, education, occupation, industry or firm size. Out of all the participants in the study, 40% reported that they either did not read their employment contract or read it very quickly and only 8% stated that they consulted with a lawyer before signing one. TAKEAWAY FOR EMPLOYEES: Employees should not blindly sign their employment paperwork, without carefully reading it first. Understanding whether an employment agreement contains a non-compete clause and what its limitations are, can help employees negotiate the reach and length of the clause, negotiate a higher salary, and/or plan exit strategy for when they want to leave their employer. TAKEAWAY FOR EMPLOYERS: Explaining to a potential or a new hire their non-compete restraints before they sign an employment agreement can help create a transparent working relationship and set everybody’s expectations, which leads to employees being more productive. The above study found that, overall, employees who sign non-compete agreements typically get more training and advancement opportunities. If that is the case in your organization, pointing that out to an employee how is asked to sign a non-compete may help employee understand that the non-compete agreement is mutually beneficial. * The study titled “Noncompetes in the U.S. Labor Force” is authored by Mr. Evan Starr, University of Illinois at Urbana Champaign, School of Labor and Employment Relations and the Department of Economics (estarr@illinois.edu); Mr. Norman Bishara, University of Michigan, Ross School of Business (nbishara@umich.edu); and JJ Prescott, University of Michigan Law School (jprescott@umich.edu). I advise all my business clients in Texas to have non-compete and non-solicitation agreements with their key employees. Why? Well, first of all, because Texas courts enforce such agreements, so it only makes sense to take advantage of them. Second, because clear, specific, and reasonable non-compete and non-solicitation restrictions are usually a fair trade for providing key employees with access to customer lists, confidential information or expensive specialized training. However, what happens if an employee does not have a non-compete? Does that mean that he or she can set up a competing shop across the street with no repercussions from the former employer? Well, not exactly. One only has to take a look at a few recent high-profile cases out of California courts to see that employers have many other ways to prevent employees from taking their confidential information and opening a competing business. Since California does not allow non-competes, its employers have spent years perfecting other remedies to prevent unscrupulous employees from misappropriating their trade secrets. So, while Texas hates to look to California for, pretty much, anything, and while Texas and California law often diverge significantly, on this specific issue it pays to take note of what California companies have been cooking in their own courts. Most recent example of an employer v. former employee battle waged in California-land that did not involve a non-compete agreement is a lawsuit by Total Recall Technologies (TRT) against Oculus Rift – a company that manufactures virtual 3D-reality headsets for gaming – and its founder, Palmer Luckey. TRT filed a complaint in a federal court in California alleging a breach of non-disclosure agreement and “wrongful exploitation and conversion of plaintiff’s intellectual and personal property in connection with TRT’s development of affordable, immersive, virtual reality technology” by Luckey and Oculus Rift. TRT alleged that Luckey was hired in 2011 to help develop a prototype head-mounted display, and as part of his job, he received information and feedback to modify the design. According to TRT, Luckey used this confidential information to create Oculus Rift, his own version of the head-mounted display, which he launched via Kickstarter. The lawsuit demands both punitive and compensatory damages in an unspecified amount. Given that Oculus Rift has recently been acquired by Facebook for $2 billion, the timing of this lawsuit could not be better for the plaintiff. This is not the first time that Oculus Rift and its founder are being sued for alleged misappropriation of trade secrets. In 2014, ZeniMaxIP sued the same defendants in the U.S. District Court for the Northern District of Texas alleging that Occulus Rift breached its non-disclosure agreement with ZeniMax and, among other things, hired ZeniMax’s employees knowing that they would inevitably disclose ZeniMax’s trade secrets. Other claims included copyright infringement, unfair competition, trademark infringement, unjust enrichment, and false designation under the Lanham Act. Notably absent from the suits were statutory claims for misappropriation of trade secrets. The claim was not included in the ZeniMax v. Oculus lawsuit because Texas Uniform Trade Secrets Act (TUTSA), which governs such claims now, did not apply to misappropriations that occurred prior to September 1, 2013 – its effective date. Why TRT did not plead a claim under the California Uniform Trade Secrets Act (CUTSA) is less clear, but just like TUTSA such claim is often plead in many employer v. former employee lawsuits in California. Takeaway: Just because a former employee never signed a non-compete or a non-solicitation agreement, does not mean that he or she can set up a competing business by using the trade secrets of its former employer. In Texas, TUTSA allows employers to go after employees who misappropriated their trade secrets (even in absence of non-compete or non-solicitation restraints) or where there is a threat of misappropriation. Moreover, a lot of times, a good non-disclosure agreement will give grounds to other claims. So, although having a non-compete or a non-solicitation clause in an employment agreement makes it easier for an employer to stop a departing employee from using its confidential information, all is not lost if no such restraints have been put in place. Earlier this year, three law professors* published an analysis of non-compete and non-solicitation restraints in a sample of 874 CEO employment agreements. You can find the entire article here. This is the first empirical study of non-compete restraints. KEY: CEOs are more likely to have CNCs in their employment contracts if their contracts are being enforced in jurisdictions that permit strong CNC clauses, e.g., Texas. TAKEAWAY: In 2015, non-compete agreements for higher level executives, including CEOs, are the norm rather than an exception. The longer the CEO or a high-level executive works for a company, the more they learn about the business and its proprietary processes, inventions and strategic data that can be used to form a competing business. Therefore, a lot of times a reasonable non-compete restraint is justified and even necessary to protect the company. 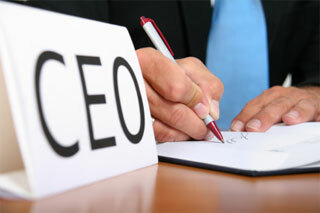 CEOs, of course, have a lot of negotiating power when it comes to the exact parameters of such restraints and the appropriate amount of compensation that will justify their sitting on the sidelines for a year or two after their departure from the company. If an employment contract is governed by Texas law, both the company and the CEO should approach the negotiations with the understanding that non-compete agreements in Texas are governed by the Covenants Not to Compete Act, which allows companies to put reasonable non-compete restraints on employees if they are tied to a legitimate business interest. Thus, for example, for a CEO of a company that has world-wide operations, a 2-year world-wide non-compete might be reasonable under the Act and might be enforced by Texas courts. Knowing that before beginning contract negotiations should help parties assess the appropriate parameters of the restraints and the corresponding compensation package. * Norman D. Bishara, Associate Professor of Business Law and Business Ethics, Stephen M. Ross School of Business, University of Michigan; Kenneth J. Martin, Regents Professor of Finance, College of Business, New Mexico State University; and Randall S. Thomas, John Beasley II Professor of Law and Business, Vanderbilt Law School, Professor of Management, Owen School of Business, Vanderbilt University.